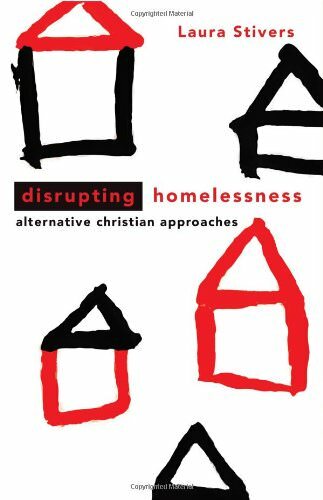 In this book Laura Stivers describes the limitations of traditional Christian approaches to homelessness that emphasize charity (rescue missions) or home ownership (Habitat for Humanity). While these approaches do, in fact, deal with some of the effects of homelessness, they not only fail to address the structural causes of homelessness and poverty but they also reinforce certain ideological assumptions—such as individualism, a pattern of “blaming the victim,” and idyllic conceptions of home ownership—that keep us from addressing the causes of homelessness in the first place. If we are really going to end homelessness, Stivers contends, we have to address the structural issues that keep people homeless, such as the inadequate availability of low-incoming rental housing, unemployment, low wages, and increasing inequality between rich and poor. If Christians and churches want to end homelessness, they must collaborate more fully and develop social movements that will address the full range of factors affecting homelessness, including causes and effects. In other words, they must embody in principle and in practice not only hospitality and compassion but also social justice. The place to begin, Stivers argues, is by listening to the homeless and the poor, allowing their experiential realities to set the agenda, and working in solidarity with them to disrupt the ideologies and to challenge the policies that perpetuate the problem. This requires an education in “disruption” that enables Christians to move beyond the behavioral manifestations of homelessness so that they can see the web of oppressive structures that have generated the bonds experienced by so many poor and homeless. Stivers provides a wealth of data that illustrate and document the full extent and complexity of homelessness in our society. Drawing upon Tracy West’s ethical methodology of “disruption,” Stivers then brings to light what she considers the dominant ideological assumptions that sustain homelessness. These include the assumptions that homeowners are responsible, autonomous citizens while the homeless are deviant, dependent, and criminal; and further that excessive wealth and inequality is justified. Stivers illustrates how these assumptions fail to consider certain factors—such as power, privilege, and racial and class disparities—that underlie and perpetuate the problems of homelessness and promote private over public policies to address them. To address these factors, Stivers argues for a different approach—modeled on such groups as the Industrial Areas Foundation and the PICO (People Improving Communities through Organizing) National Network—that embodies community organizing principles that engage the victims of homelessness in meaningful dialogue about the problems, actively listens to their stories and to their solutions, and works in solidarity with them to address the causes and the policies that perpetuate their homelessness. The audience for this book is Christians and churches seeking to address the issue of homelessness in our nation. Ethicists and Christians of like mind will have few problems with Stivers’s diagnosis of and remedy for homelessness, even if her remedy comes across as a bit utopian at places. Nonetheless, her rhetoric of empowerment, solidarity, social justice, and sustainability might drive away those of a more conservative theological bent. Since many involved in ministry to the homeless today presuppose precisely the assumptions she challenges, I am not sure she has done enough to convince them to change their approach, even though she attempts to ground her approach biblically in the life and ministry of Jesus. Stivers is correct in asserting that substantive change will only come about as a result of a concerted social movement that involves churches of all theological stripes. The challenge is to find ways for us to set aside our differences for the sake of greater good: disrupting and ending homelessness.